This jaw dropping full diamond eternity ring is loaded with a sparkling 1.5 carats of alternating princess cut and baguette cut diamonds all held within a precision set channel. This fully set Diamond Eternity Ring features a combination of Princess cut and Baguette cut Diamonds. Both Diamond shapes come together within a distinctive, alternating design with a seamless row of precision set Diamonds. Measuring 3.2mm, this comfortable court shaped band is available in a wide range of precious metal options including 18ct White Gold, 18ct Yellow Gold, 950 Palladium and 950 Platinum. 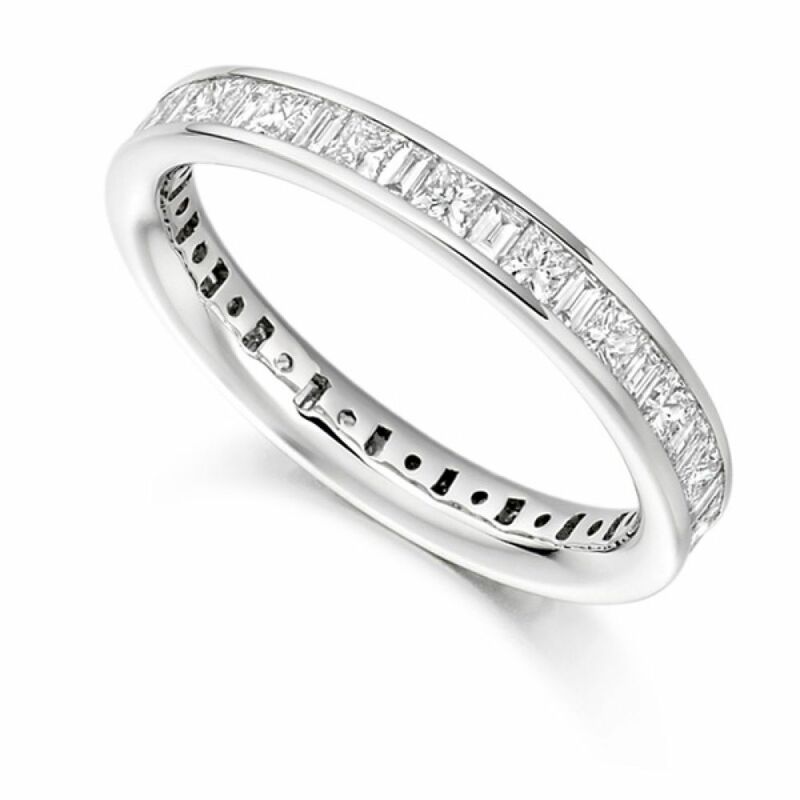 For anyone looking for a bold and striking Eternity Ring, this design includes a staggering 1.5 carats of Diamonds, precision set as part of the Raphael Collection. Each ring is expertly crafted in around 4 weeks, before arriving by secure courier in breathtaking luxury packaging. Our full Diamond Eternity Rings can be delivered Worldwide with fully insured shipping and both tax and duty included for deliveries outside the UK. 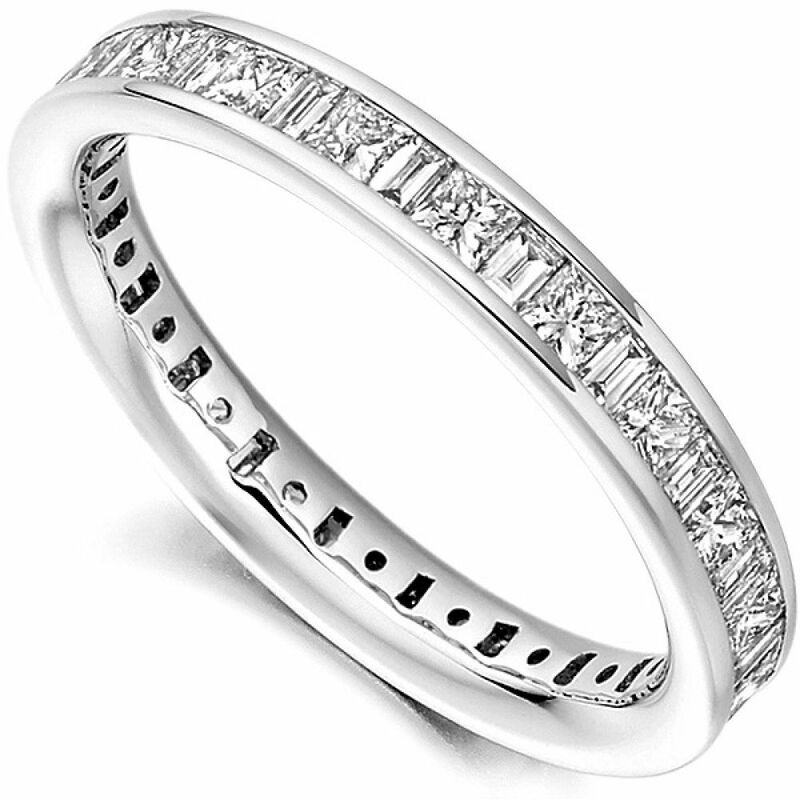 Contact us if you require any additional support or guidance on this beautiful diamond eternity ring design.